What’s the best way to start the coming 2016 business year on a good note? For lots of retailers and wholesalers worldwide it is to attend the 2015 MEGA SHOW in Hong Kong. The show will last for 8 days only. it is, indeed, a very short time-frame, but a very worthwhile event to participate in to ensure the next season starts off on the right track. Here are 7 very good reasons to visit the MEGA SHOW 2015 Edition. 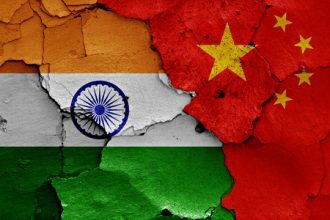 While specialized fairs may offer a good insight into a specific industry, the MEGA SHOW manages to gives the most exhaustive and comprehensive look at the world market than any other event through an extensive range of products. The MEGA SHOW continues to grow over the years, with 53,000 buyers in 2014 (43,000 in 2013), it attracts everyone in the Asia-Pacific from the gift, housewares, premiums and toy manufacturing industries. 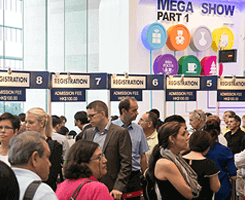 The MEGA SHOW is the place to take a look at what others are up to, study new trends and approaches, form alliances and affirm its presence in the market. It is one of the best event of the year to gather all the resources needed to make predictions and informed decisions about the future development of each individual business. As new ideas lead to business growth opportunities, the MEGA SHOW instantly immerse the visitor in the flow of innovative ideas and business development opportunities. The Products Showcase Area, located at the fair entrance, allows to get a quick overview of what to expect from the exhibit the minute you walk in. There are over 100 nationalities represented by the visitors attending the Mega Show. 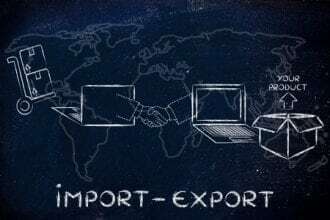 It is a unique opportunity to discuss the sourcing industry with peers, solve supply chain challenges and exchange professional advice to secure imports. With more than 5,400 exhibitors (3,500 at the MEGA SHOW part 1), the MEGA SHOW allows to source an extensive range of products at a single location and meet reliable Asian-based suppliers: manufacturers as well as service providers, such as inspection companies to further enhance the business strategy. More often than not, the communication with suppliers is mostly remote, via phone, email, chat on skype. The Mega Show gives the possibility to bridge the distance gap and finally talk to the suppliers in person. It allows to build an effective supplier relationship and address concerns or compliance requests. For improving the relationship with suppliers, bringing a delicatessen from the country of origin is always welcomed! The show is the right time to clearly define ways to ensure the quality assurance and quality control of the goods that are or will be purchased. The AQF team will be attending the MEGA SHOW once again, booth 3T-32. Feel free to stop by to discuss your current quality issues, coming projects, Asia sourcing market trends and more, or make an appointment now! And you: what drives your interest and makes you come back year after year to the MEGA SHOW?